One in a laundry list of ancient drama adaptations. China is really killing it this year. 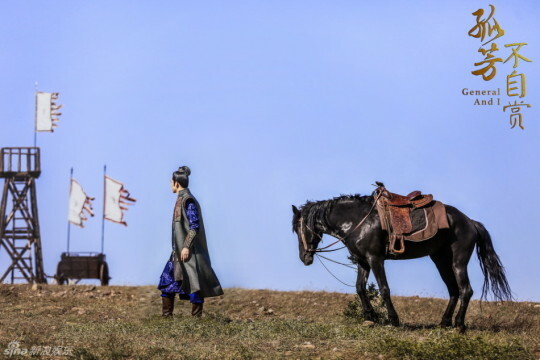 General and I 孤芳不自賞 has begun filming and released stills. 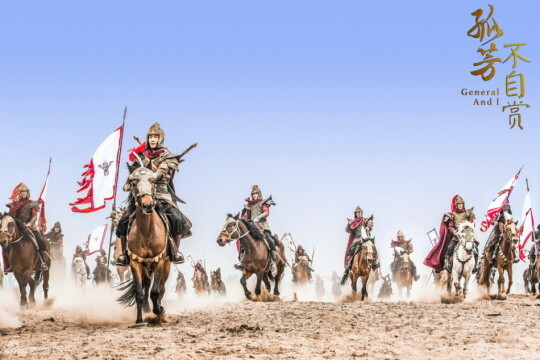 Based on the novel by Feng Nong. 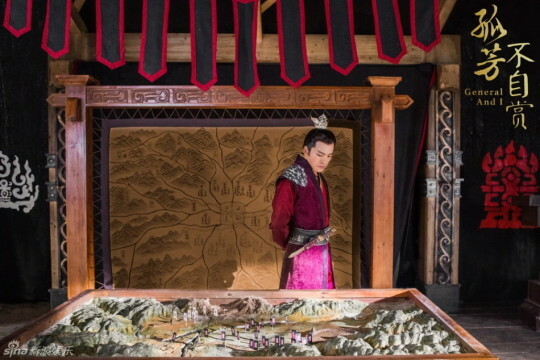 Starring Wallace Chung, Angelababy, Sun Yizhou, Gan Tingting, and Qi Hang, fans of the original novel can look forward to this adaptation. More stills and SPOILERS (after the stills) below the cut. 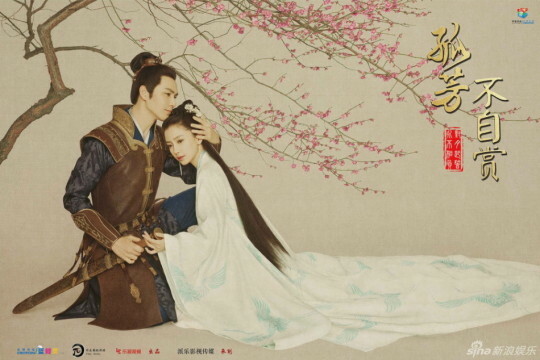 About a war-god prince from the kingdom of Jin (Chu Beijie) and the rival kingdom Yan’s young prince-ling He Xia and his slave girl Bai Pingting. 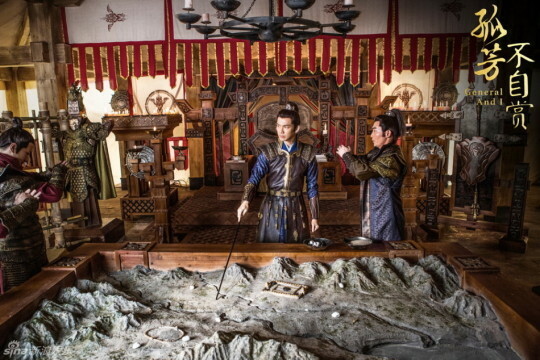 He Xia and Bai Pingting escape from the destruction of their manor and take refuge in a monastery where Chu Beijie is captured by the beauty of Bai Pingting’s zither playing. They fall deeply in love but their situation renders this relationship a difficult one. Eventually, they persevere and overthrow He Xia’s terrible plans. This entry was posted in Drama, Mainland China and tagged Angelababy, Feng Nong, Gan Tingting, General and I, Qi Hang, Sun Yizhou, Wallace Chung by 0kuo0. Bookmark the permalink. Well… I guess we’ll have to give her a chance…? 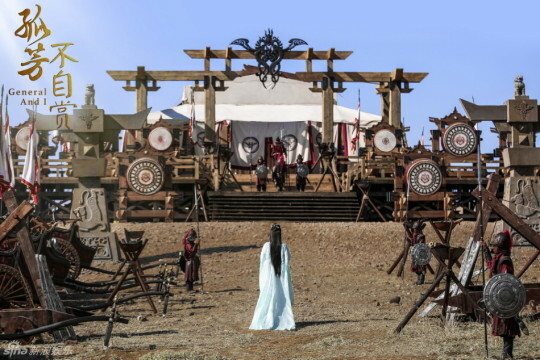 Yes definitely will give her a chance, however she wasn’t that great in Yun Zhong Ge.. I finished the translated novel recently, and I liked it. Kinda long though. Baipingting is known for her brains not her beauty, so idk if Angelababy fits as the main female character. There were some sad moments, and misunderstandings which i found frusterating, though it was resolved later on. I liked how loyal Chubeijie was to baipingting.